How to export data from a Pipe? Exporting data from Pipefy is simple and can be done using our reports feature. It allows you to generate a XSLX file with the data in your pipe. To start with, you need to access the pipe you want to generate a report from and open the ‘reports’ tab on your pipe dashboard's header. This is what your ‘Reports’-dashboard looks like. Click on the ‘Create new report’-button. This is the first screen you see after clicking the ‘create new report’ button. The standard columns shown on all new reports are ‘Title’, ‘Current phase’, ‘Creator’ and ‘Created at’. The records (rows) are related to the information filled out on the fields of the cards on your Pipe. You can customize the information you want to see on your report by clicking the 'columns' button. When you click it, it’ll open a dropdown menu with all the phases and fields you have in your Pipe. Check the boxes with the fields that hold the information you want to display in your reports. 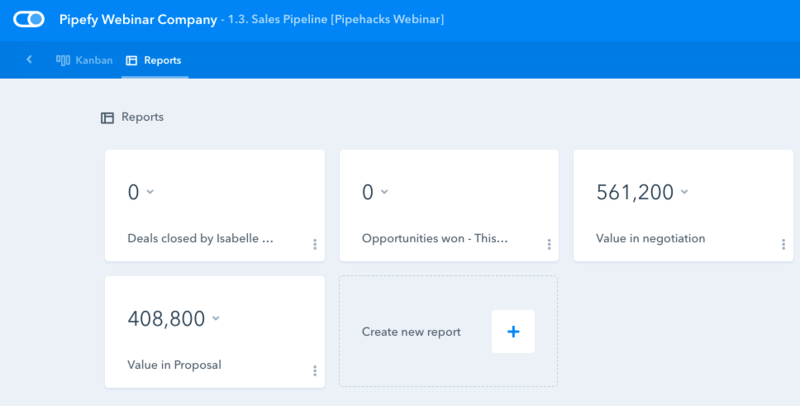 You can use the filters in the left side panel to filter the information on the fields to make sure your reports only display the information you want to see (you can choose to display only deals currently in the Proposal phase that were created this month, for example). You can also drag and drop the columns to change the order the information is displayed and click on a column's title to reorder the information according to that specific criteria. 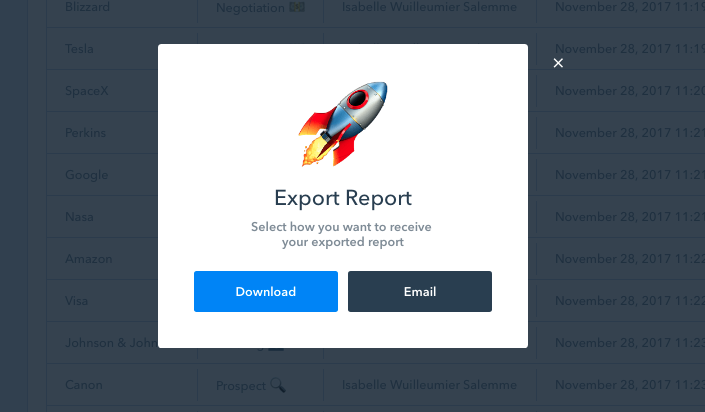 Now to answer your initial question: After you're done editing your report, click the ‘export’ button. You'll be asked to choose whether you want to download your XSLX report or to receive a link to download it in your email. From there you can extract the data and work with it in other software.